If you are ever riding after dark, or even in twilight, it is extremely important to make yourself visible to cars and other vehicles. Bicycles have a small visual profile and are often difficult for motorists to see in the best of conditions, let alone in the dark. Reflectors and brightly colored clothing are a good idea, but a bike light is the single best way to let cars know you are there. 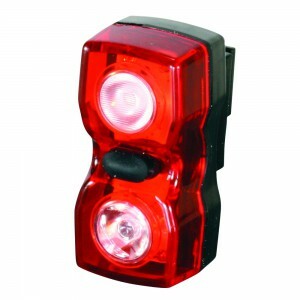 Because cyclists are required by law to ride on the right side of the road with traffic, a rear light is most important to maintaining visibility. A simple red blinking tail light is very effective, and available for as little as ten dollars. Headlights are another good idea. Some headlights are designed to actually light your way, while others are intended to simply make you visible to cars. Some combine these features, with an always-on headlight bulb and a blinking visibility bulb in the same unit. There are few different types of headlights to choose from. Most headlights that are currently on the market use L.E.D. technology. These lights produce an extremely bright and visible beam of light, and offer the best battery life. Additionally, they can be set to blink for increased visibility. The average price of these headlights range from $20-$45, with their tail light counterparts starting at around $15 and up. 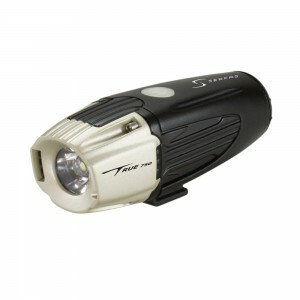 Higher models are available for more technical nighttime trail riding. Many lights are available with an option of USB recharge from a port on your computer or through a compatible wall charger adapter. This eliminates the need to replace the unit’s batteries, saving riders time and money. The average charge lasts between 6-9 hours, depending on what setting your light is on. Headlights and tail lights are available separately or as a combo. Buying them as a combo is typically a much better value.